How is it possible to get basic information about Hi-Res Audio so wrong as we usher in a new year — almost 20 years since the idea was considered in 2000? I happened on a recent article written by Robert Silva on the Lifewire website called “What Is Hi-Res Audio? The Basics” recently and was amazed that virtually all of the information he provided was wrong! Do these writers bother to research the information they include in their pieces? Do the websites that publish them have knowledgeable editors to confirm the facts presented on the pages of their sites? It’s seems not. What are these logos for? Are they the same? Robert is off track at the end of the first paragraph when he claims that “as much as 80 percent of the information present in the recording of the original performance” is missing from current music downloads and streams. I’m not even sure what 80% he referring to. He doesn’t bother to explain his vague statement but his assessment is decidedly uninformed. I’ve been streaming free Pandora radio for the past month or so and it sounds pretty good to me. Do lossy encoding formats like MP3, AAC, and others really fail to deliver a reasonable music experience? No. Can we do better? Sure. What the hi-res formats are. How to access hi-res content. But he fails to get even the first concept right. I knew from the title of his piece AND the presence of the large hi-res audio logo at the top of the page that he didn’t understand the difference between “hi-res audio” and “hi-res music” — the most basic of the basics. But he insists in the first paragraph on the topic, “As a result of the proliferation of poor-quality music listening, a strategy has been implemented to bring back high-quality two-channel audio by extending the capabilities of downloadable and streamable music so that it matches, or surpasses, CD quality. 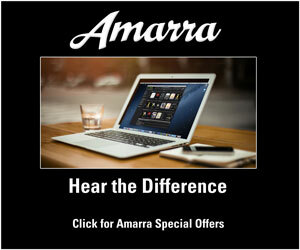 This initiative is referred to as hi-res audio, hi-res music, or HRA”. But wait a second. 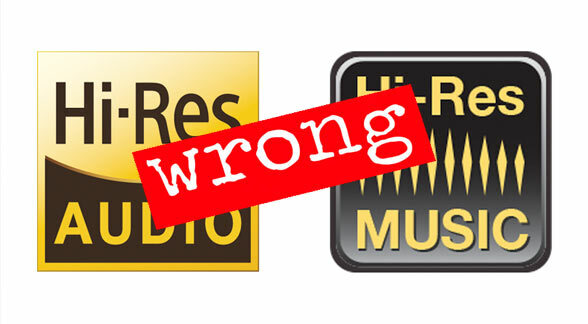 According to the originators of the “hi-res audio” logo and its associated qualifications, it’s not at all the same thing as “hi-res music”. Sony was one of the major promoters of “hi-res audio” back in 1999 when the idea was in its infancy. They — and other consumer electronics companies — were looking to replace the aging CD-Audio format. Sony settled on DSD encoding and a new consumer format — the SACD (no surprise since they owned most of the intellectual property around DSD and the new format!). But remember, Sony is a hardware company. 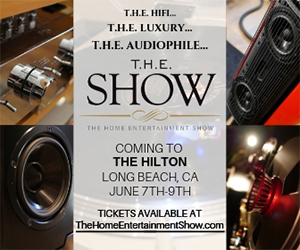 They’re interested in selling audio enthusiasts the next generation hardware — from microphones to speakers and everything in between. The “hi-res audio” logo is reserved for hardware and does not apply to content! The table below was provided to the CEA audio board by the JAS (Japanese Audio Society) and describes the requirements for a product to be considered “hi-res audio” capable. Notice that all of the items in the list involve hardware to record, process, and reproduce high-end audio. 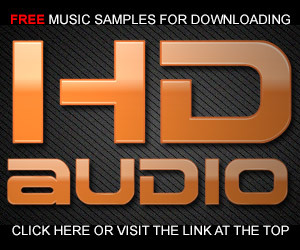 So then why do companies like Qobuz insist on using the “hi-res audio” logo all over their website? They don’t design and deliver hardware. And why does this article feature the wrong logo at the start of a piece on the basics? They equate all “hi-res” categories in their HRA bucket (in fact “hi-res music” and its logo should be associated with content but no one has seen that logo so companies use the wrong one). Qobuz, a company that’s getting a fair amount of buzz these days, is not delivering “hi-re audio” no matter what they call it. I analyzed a couple of their free demos a while back and discovered they are the same old standard-res masters masquerading as bona fide hi-res music (read the blog here). Here’s the very tired — and incorrect — image used to show how great hi-res audio is. The important thing to understand about the diagrams above is that the smooth analog waveform above each set of lines/blocks is the same. In reality, a 320 kbps MP3 is virtually indistinguishable from a CD, which is also indistinguishable from a real high-resolution audio file — if you could find one. Using the term “lossless” guarantees that “hi-res” music preserves ALL of the fidelity of the original analog master but in a digital form. Of course, there are more and more masters being created natively in the digital domain but sadly, not enough are produced to take advantage of high-resolution specifications. The next part of the definition says that we can expect the “full range of sound” from any hi-res music content. But continues that the “full range” has to come from a recording — a master — that is better than “CD quality”. This is where their definition fails. The primary goal of “hi-res music” — at least for CE manufacturers and content providers — is to maintain demand for their products, tracks, or albums. The companies behind this initiative are businesses first and foremost. They are not interested in enhancing fidelity! It’s interesting that the committee that ultimately “settled” on the definition of “hi-res music” chose “CD quality” and not “CD specifications”. The former simply means that listeners can’t tell the difference between a file and the CD version. 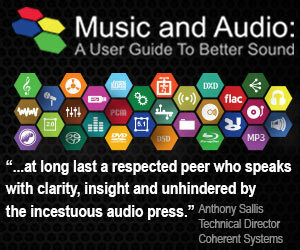 CD spec means that the master is 44.1 kHz/16-bit stereo PCM — they’re not the same! 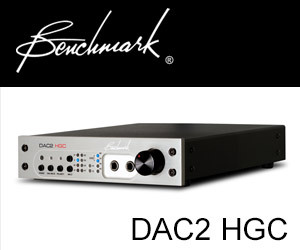 If a source master is perceived to be “better than CD quality” then it can qualify for hi-res music status. They certainly didn’t want to rule out all of the masters that were created during the analog tape era. All of them cannot reach the fidelity potential of a Compact Disc and would therefore never be available through HDtracks or Qobuz as “hi-res audio”. In fact, if the definition was strictly enforced, there wouldn’t be very much “hi-res music” available. When I asked the assembled high-res audio board of the CTA if an analog recording done in the 1920s digitized at 96/24 PCM would qualify as “hi-res music”, I was assured it would. That’s around the time I decided the motivations of the group was more about profits than improving fidelity. And as I’ve learned over the past 5-10 years, even real hi-res music — like the recordings that 2L or AIX releases — is indistinguishable from CD spec downconversions. Take the HD Audio Challenge and see if you can tell a bona fide HD audio tracks from the CD version. My younger brother is in need of some help. This isn’t the place or platform to relate the details of his current situation but I know some of you might consider making a contribution to the GoFundMe campaign I started for him once you read the narrative I authored. 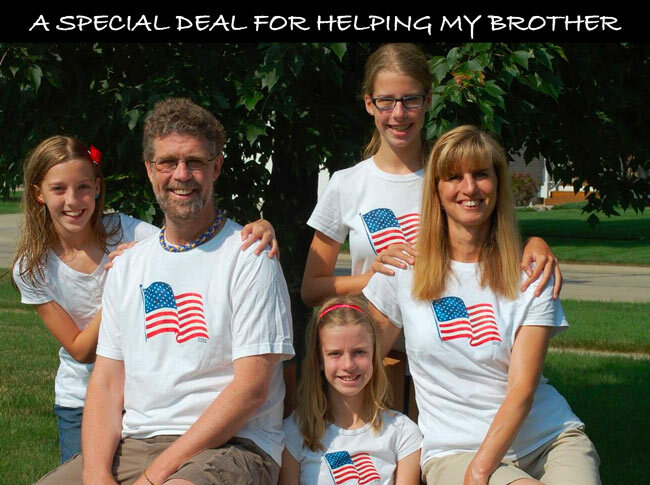 In fact, since I posted this a week ago, many readers have given generously…thank you! Though I absolutely agree with you it is at best misleading to label it as ‘Hi Res music’ do you believe it is better to digitise even very old analogue recordings at higher than CD specification? – I’m thinking in particular about the timing aspect of faster sample rates possibly being important though not easy to identify when doing A/B comparisons on playback? I would digitize older analog recordings at 96/24 PCM to provide a reasonable margin. From my research, I realize that 48/16 would be enough. Just a few morsels of why I no longer read, much less buy, any of the audio rags out there. Are we being out competed by flat earthers and neaderthols? Are they GMO’d humans? Creating a generation of autistic spectrum humans? Looking at this post and then seeing the misuse of the logos in various promo emails I receive, I posted the query on a couple of audio sites asking what people think of the misuse of the logos, regarding music or hardware, and the fact they have been used interchangeably. I liked to this post actually so people could read and see the differences if they were unaware of them. I got hundreds of looks on my post, a few dozen people clicked the link to the post, but only one comment, and that person said he didn’t even know about the music logo and honestly didn’t care, when he sees the first one he thinks of hardware and files interchangeably. I think that’s the battle here, the general population doesn’t have a clue and honestly makes no distinction. I know the difference but honestly when I see the first logo in my mind I look at the context of the use and then figure out which one they are talking about. I’m not at all surprised at your findings. The industry and those who write about it are not interested in anything but maximizing profits. Consumers — even audiophiles — don’t really care about logos and consistent definitions.